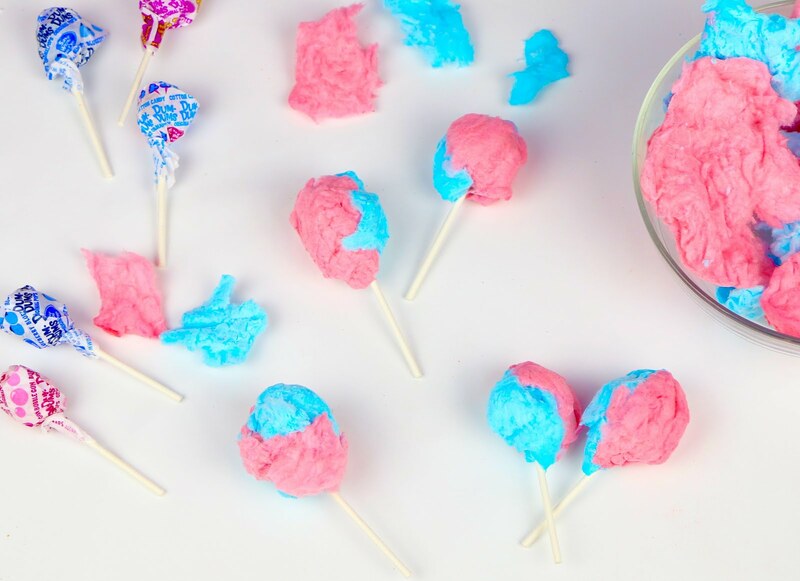 Fluffy cotton candy, wrapped around a sweet lollipop, for a whimsical little treat in no time! 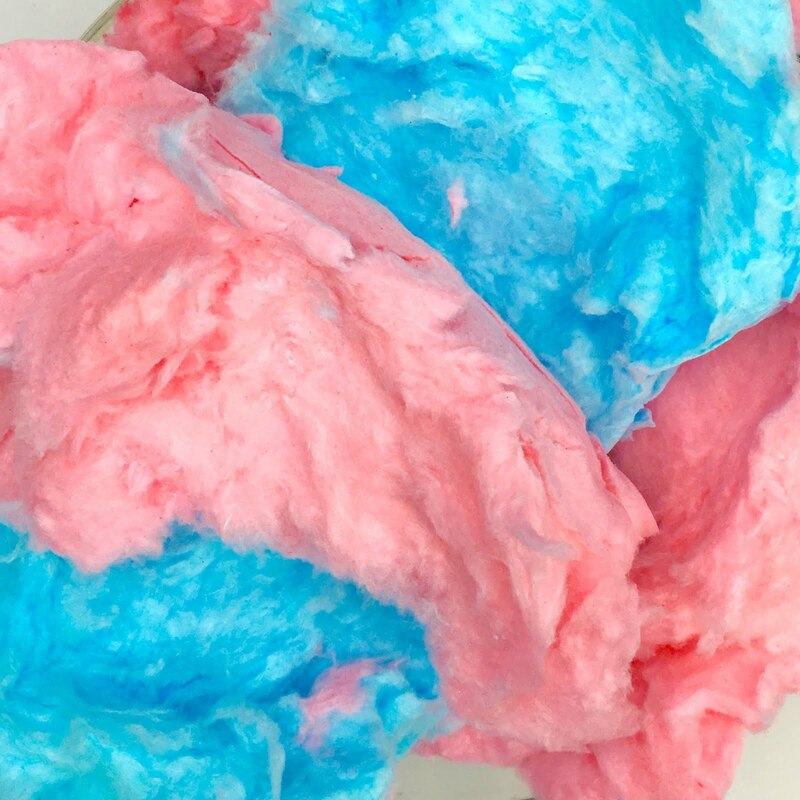 I mean, who doesn't love cotton candy?! 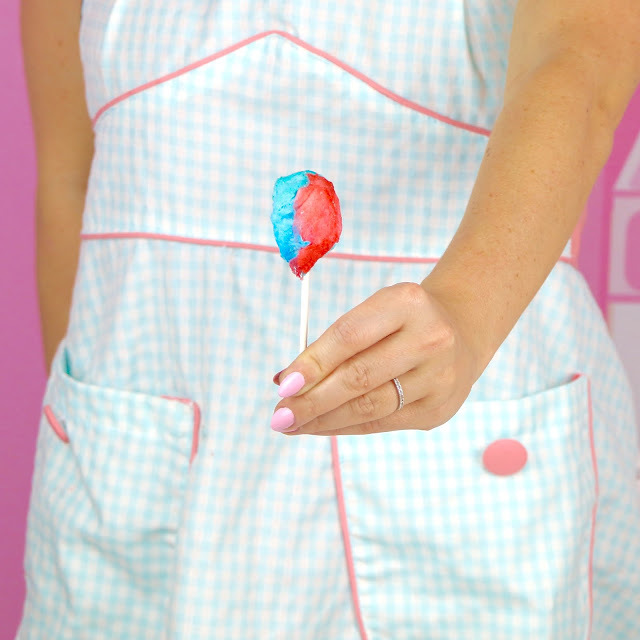 And with a surprise lollipop center, these little cuties are a perfect party addition that are sure to be a BIG hit! 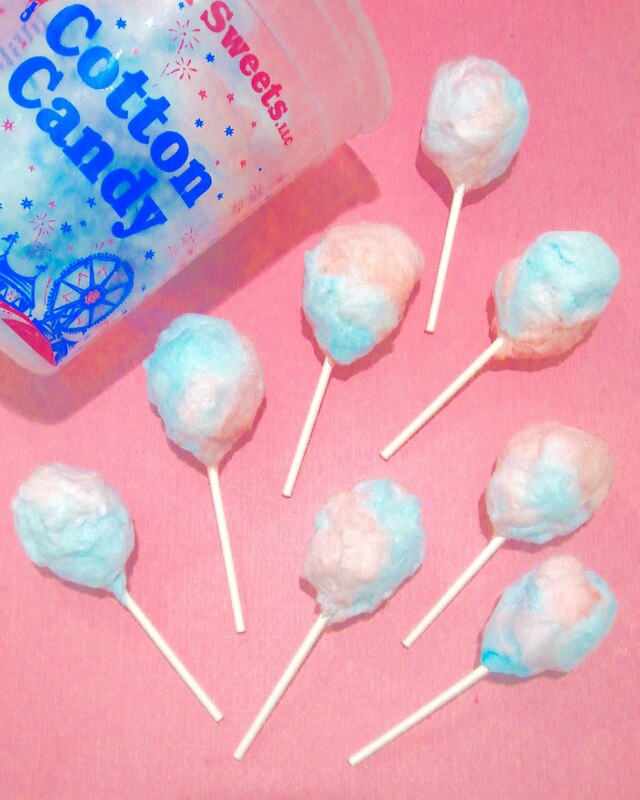 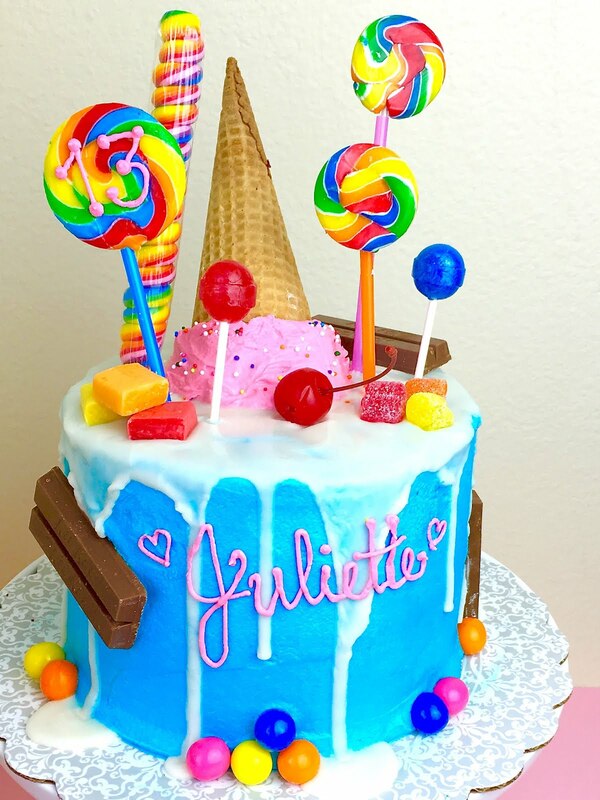 I used a tub of cotton candy I found at my local drug store and I thought it would be fun to use cotton candy flavored lollipops, but any kind will work. 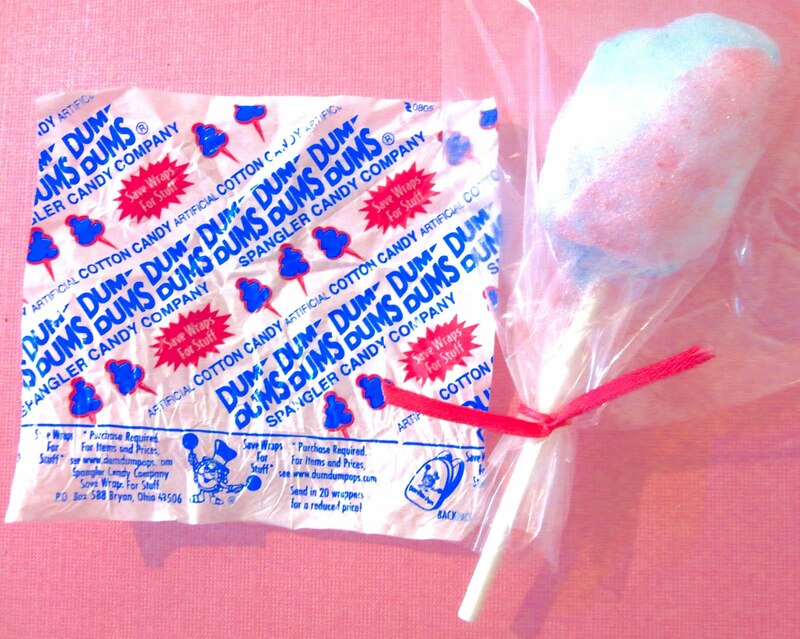 To make them, gently stick some cotton candy to the outside of an unwrapped lollipop. Make sure there is no moister/water, or the cotton candy will dissolve. 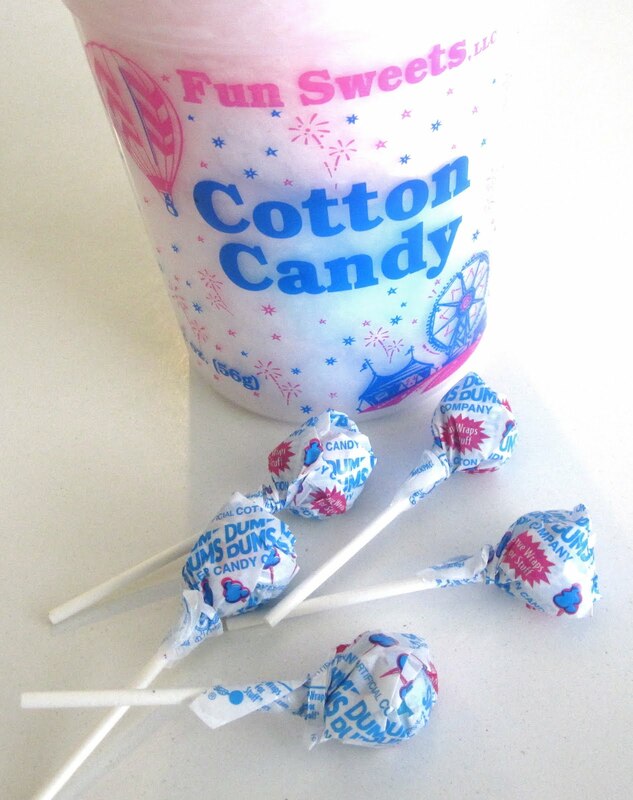 Package immediately and place in an air tight container to prevent the cotton candy from shrinking and dissolving. 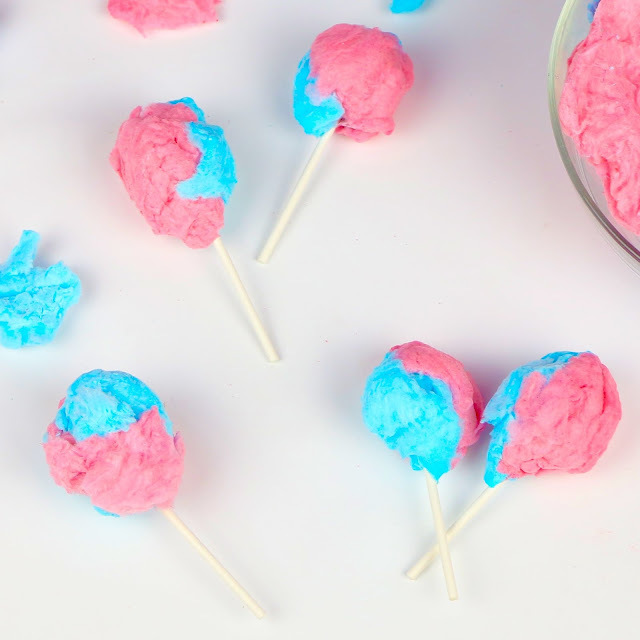 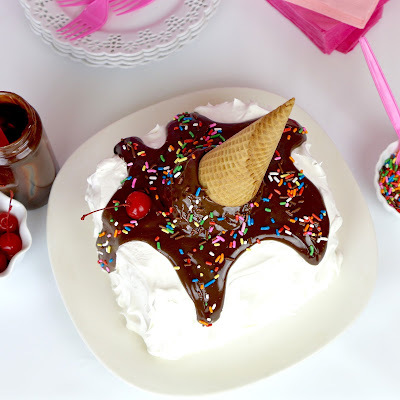 These miniature cotton candy treats are so much fun and perfect for a birthday party, BBQ or summer event. 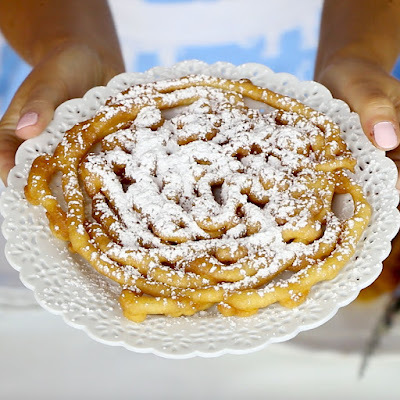 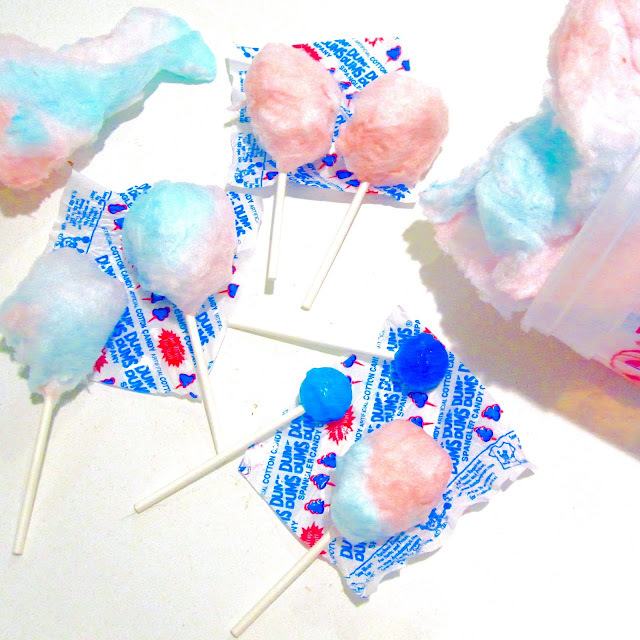 These are best made and served the same day, as the cotton candy starts to dissolve over time. 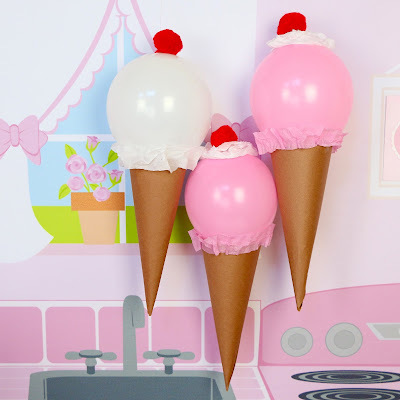 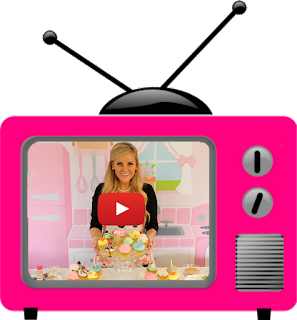 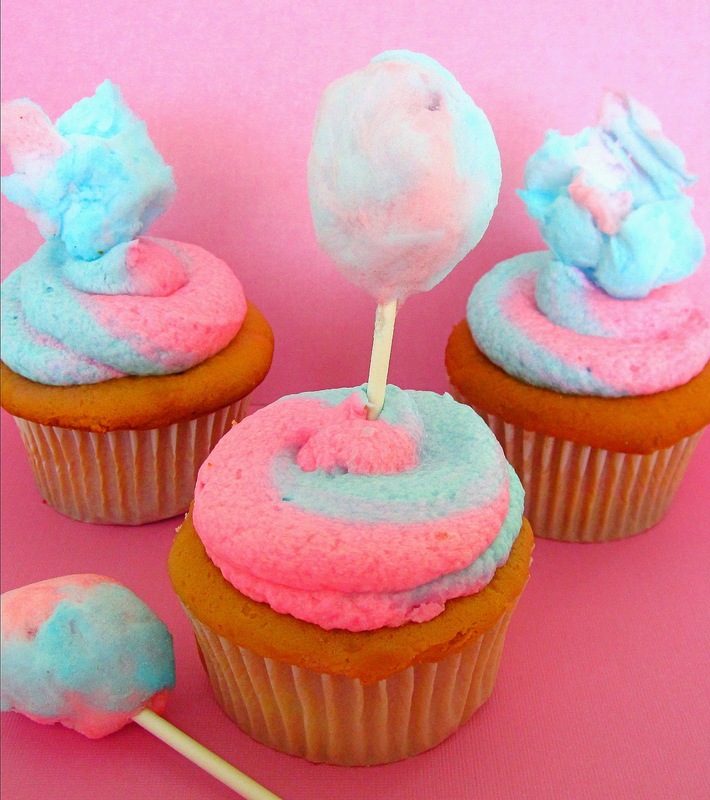 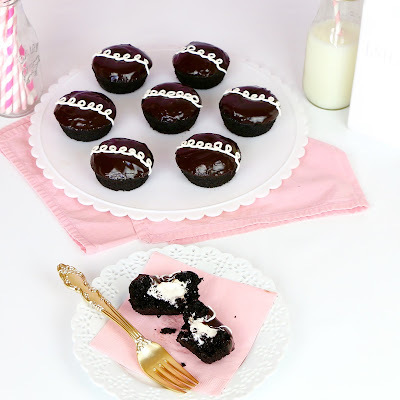 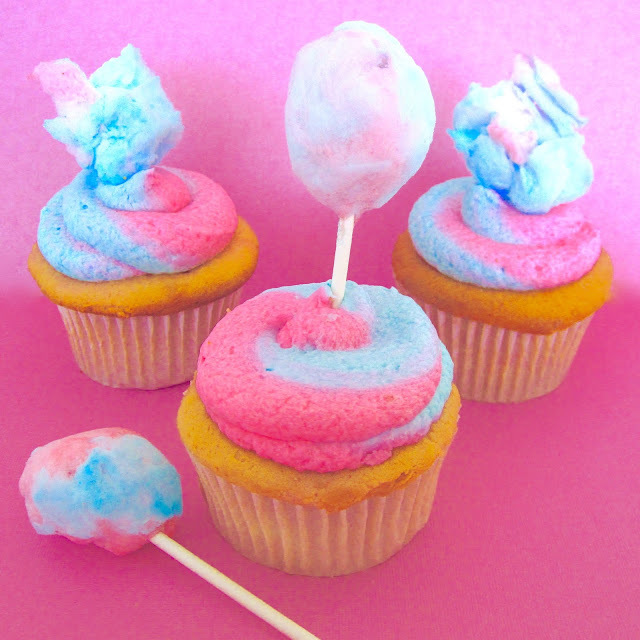 Even use them as cute little cotton candy cupcake toppers! 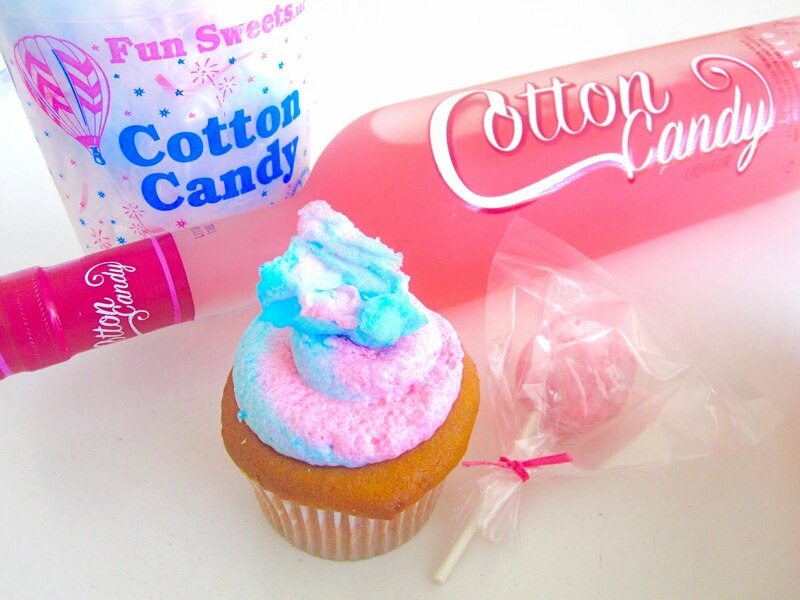 Have a cotton candy party!